Doctors will often prescribe antibiotics for conditions caused by bacteria, including pneumonia, strep throat, acne, ulcers, meningitis, ear infections, food poisoning, and fungal infections. On the other hand, they don’t treat acute respiratory tract/viral infections like pharyngitis, bronchitis, and the majority of sore throats, sinus and ear infections, and especially not the common cold. This fact was recently echoed by the Centers for Disease Control and Prevention (CDC) and the High Value Care Task Force of the American College of Physicians (ACP) in an article published in the Annals of Internal Medicine. The goal for doctors is to reduce the inappropriate use of antibiotics for acute respiratory tract infections (ARTIs) like the common cold. The article was aimed at healthcare professionals and general practitioners (GPs) who see patients with ARTIs on a regular basis. The study authors noted that the most common reason that antibiotics are prescribed for American adults is ARTIs like the common cold. According to a study from the New England Journal of Medicine in 2013, four out of five Americans are prescribed antibiotics every year. Studies have also found that GPs will prescribe unnecessary antibiotics to over half of their patients with coughs and colds. Taking antibiotics too often, or when you don’t need them, can increase the risk of antibiotic resistance. In other words, when you take antibiotics, your body becomes resistant to them, and they will no longer work and will fail to kill all the bacteria. In the U.S., the CDC estimates that antibiotic overuse has resulted in 23,000 deaths and two million people getting antibiotic-resistant illnesses every year. “Reducing overuse of antibiotics for ARTSs in adults is a clinical priority and a High Value Care way to improve quality of care, lower health care costs, and slow and/or prevent the continued rise in antibiotic resistance,” explained ACP President Wayne J. Riley. The study authors do not recommend that doctors prescribe antibiotics to those with the common cold. Alternatively, doctors tell patients that cold symptoms can last up to two weeks. Patients should visit the doctor again if symptoms get worse after that point. The article also explains how to treat other ARTIs with antibiotics. For example, antibiotics are not needed for bronchitis unless pneumonia is also an issue. Also, antibiotics should only be given in patients with confirmed streptococcal pharyngitis. Doctors should also reassure patients that sore throats will often disappear in less than a week, and that antibiotics are not needed and they have harmful side effects. 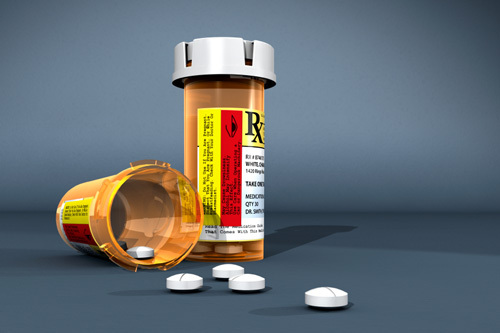 The article also suggests that doctors take advantage of the symptomatic prescription pad. For example, the CDC’s Symptomatic Relief for Viral Illnesses Prescription Pad can be found on the CDC website page Get Smart: Know When Antibiotics Work. The symptomatic prescription is a checklist that allows the doctor to tell the patients that they can do for specific symptom relief for their viral illnesses or symptoms like a cough, sore throat, cold, or even the flu. The doctor will tick the relief options that apply and then prescribe them to the patient. The treatment options for a cold may include drinking more fluids like water and taking zinc lozenges for immune support. In another study presented at the American College of Chest Physicians’ annual meeting, CHEST 2012, researchers suggested that antibiotics don’t work to treat coughing from the common cold in children. Anytime you find you are getting a cold or a sore throat, there are natural remedies you can take instead of any medication. For instance, colloidal silver, garlic capsules, oil of oregano, elderberry syrup, and vitamin C (ascorbic acid) powder are great for immune support at the onset of a common cold.